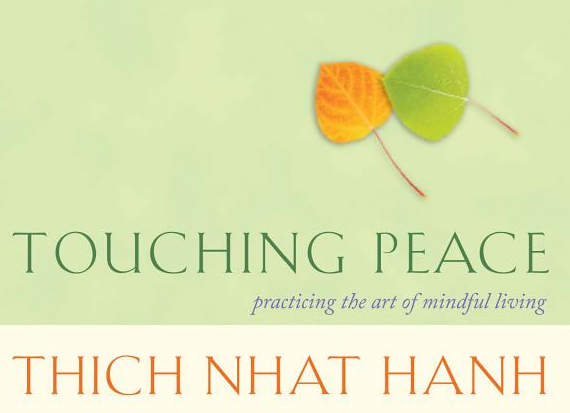 I am re-reading Thich Nhat Hanh’s book, Touching Peace: Practicing the Art of Mindful Living. Today’s chapter, “The Happiness of One Person,” concerns how human beings relate to one another. Thich Nhat Hanh asks us to conceive of love in an unconditional manner: a manner that does not force others to be, act, or think like us — but rather gives others the freedom to be themselves. True love requires deep understanding. In fact, love is another name for understanding. If you do not understand, you cannot love properly. Without understanding, your love will only cause the other person to suffer. In Southeast Asia, many people are extremely fond of a big fruit with many thorns called durian. You might even say they are addicted to it. Its smell is extremely strong, and when some people finish eating the fruit, they put the skin under their bed so they can continue to smell it. To me, the smell of durian is horrendous. One day when I was practicing chanting alone in my temple in Vietnam, there happened to be one durian on the altar that had been offered to the Buddha. I was trying to recite the Lotus Sutra, using a wooden drum and a large bowl-shaped bell for accompaniment, but I could not concentrate at all. I finally decided to turn the bell over and imprison the durian so I could chant the sutra. After I finished, I bowed to the Buddha and liberated the durian. If you were to say to me, “I love you so much I would like you to eat some of the durian,” I would suffer. You love me, you want me to be happy, but you force me to eat durian. That is an example of love without understanding. Your intention is good, but you don’t have the correct understanding. In order to love properly, you have to understand. Understanding means to see the depth of the darkness, the pain, and the suffering of the other person. If you don’t see that, the more you do for her, the more she will suffer. I was struck by parallels between this passage and ideas and situations I interact with on a daily basis due to my advocacy work within the Christian Homeschool Movement. Religious leaders and overprotective, fearful parents desperately want their children to end up just like themselves. They want their kids to be conservative, straight, and Christian. Some are so willing to make their children suffer in the name of “love” that they will ship off their non-straight children to abusive and damaging reparative therapy camps. They are trying to force their children to eat durian. True love moves beyond affinity towards some thing and into the realm of understanding and accepting some one as a unique and beautiful self that is not you.